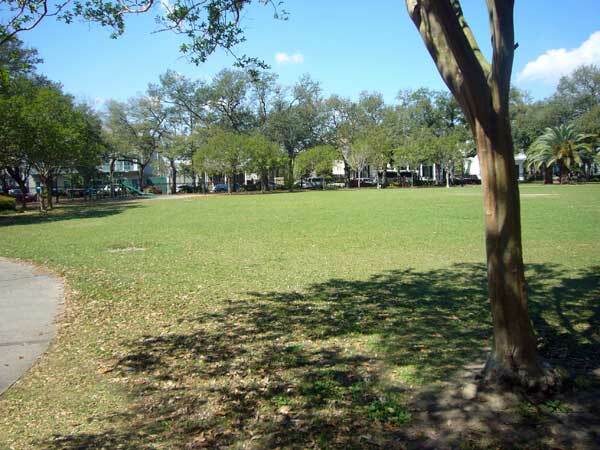 Located near the center of the Faubourg Marigny, the 2.54-acre Washington Square Park was created in the early nineteenth century when the neighborhood was established out of plantation lands. The Faubourg Marigny, one of New Orleans’ earliest suburbs, was subdivided and developed beginning in 1806 by Bernard Xavier Philippe de Marigny de Mandeville from his family’s extensive plantation holdings. Popular from its inception, the neighborhood was predominantly Creole by the 1820s. 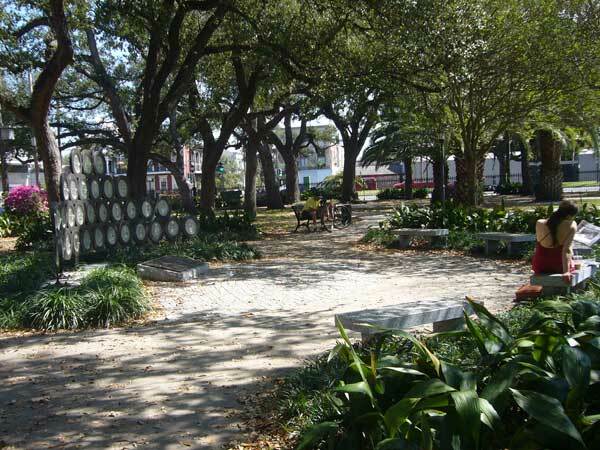 De Marigny took an interest in planning the community, especially the street names and layout and siting of the green space that is now Washington Square Park. It has always functioned as the community’s gathering place. The park is enclosed with a decorative, nineteenth-century iron fence, with entrances at the four corners. A sidewalk lined with benches wraps inside the perimeter, heavily shaded by a double allée of live oaks and planted with flowering shrubs and palm trees. The center of the park is a flat, open lawn, with a small children’s playground located in one corner. 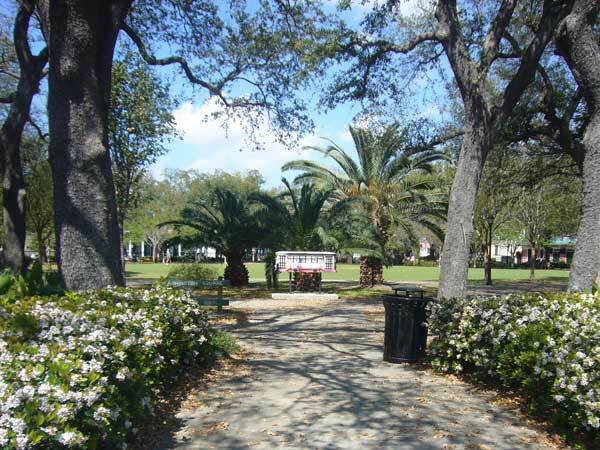 The park is surrounded by residential and commercial development, and is bounded by Frenchmen, Royal, and Dauphine streets and Elysian Fields Avenue, a major divided boulevard that runs from the Mississippi River to Lake Pontchartrain. The park was refurbished in the mid-1970s and is used today for major festivals. It was listed in the National Register of Historic Places in 1974 as part of the Faubourg Marigny Historic District.